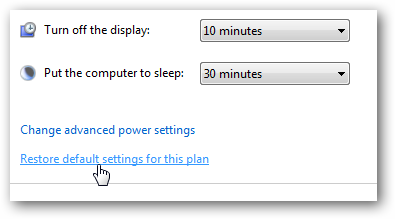 In XP you probably already know how to manage the power settings for your system on a laptop or desktop. 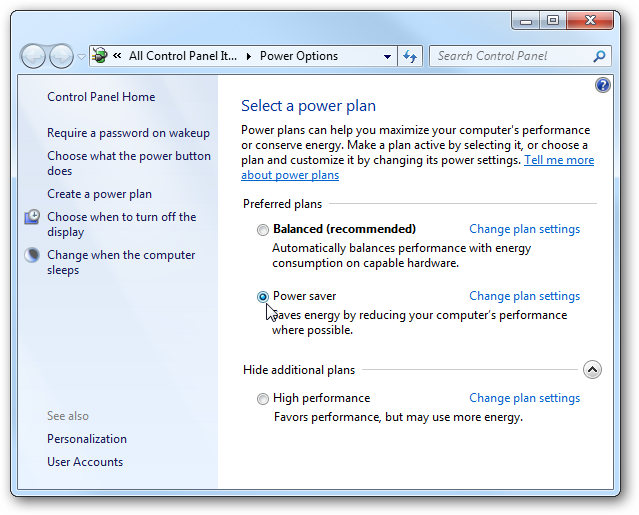 Today we take you through how to manage power settings and create custom plans in Windows 7. There are new power management options that you can set up in Windows 7 compared to XP. You might want to change plans to save battery power on your laptop, or reduce energy consumption on a desktop at home or the office. Here we will look at how to manage and tweak the power plans, and how to create custom plans as well. 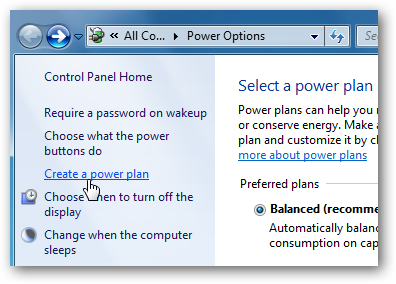 To access power plan options, type power settings into the search bar in the Start Menu and hit Enter. 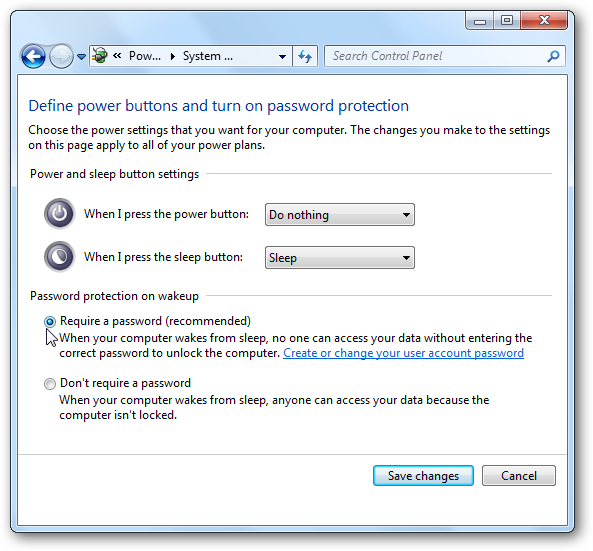 Click on Choose what the power button does and you can tweak several options such as Requiring a password on wakeup and what the power button on the computer does. If you set When I press the power button to Do nothing, you won’t have a problem with the PC shutting down when you accidently hit the power button. 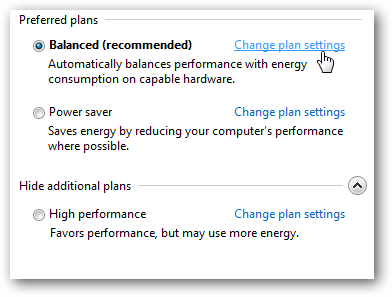 To change any one of the predefined power plans click on Change plan settings. 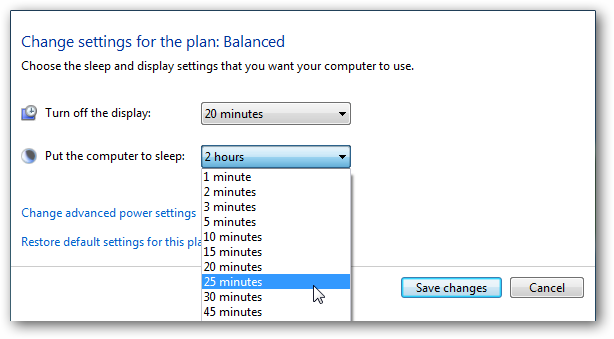 Then you can change the amount of inactive time before the monitor is turned off or the computer goes into Sleep mode. If you want to revert back to the default settings, simply click on Restore default settings for this plan. 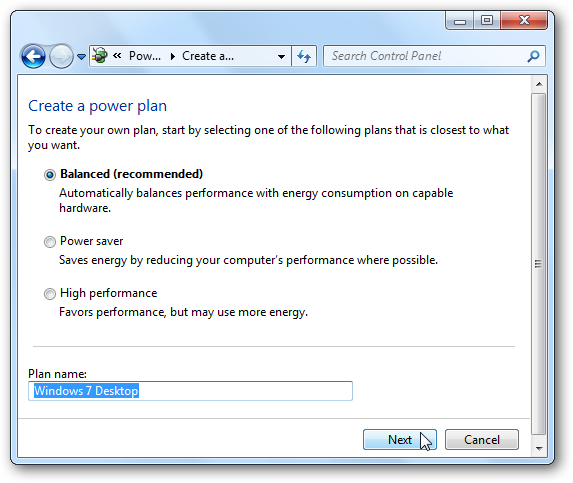 To create a custom plan, click on Create a power plan from the Power Options section. In the Create a power plan window a predetermined plan that is closest to what you want, and give the plan a name. 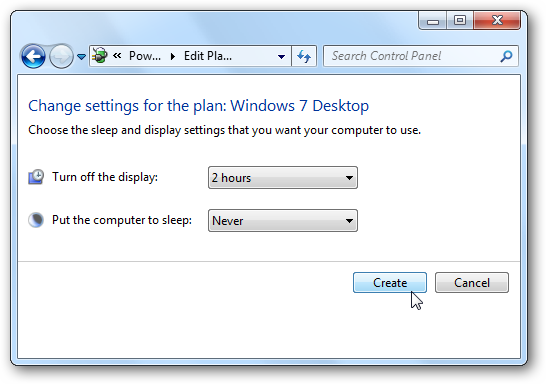 In the next screen select the sleep and display settings you want to use and click the Create button. After your plan is created you’ll see it under the preferred plans list. 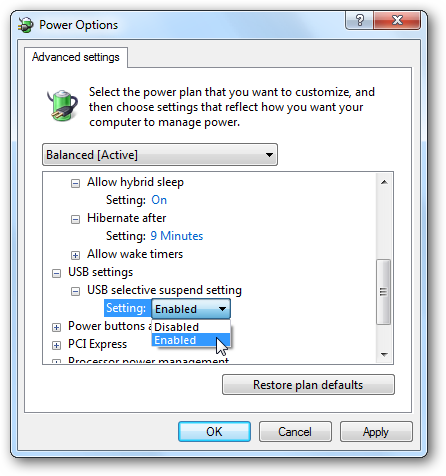 If you click on Change advanced power settings, there are several options you can tweak. These settings should only be used by advanced users, as if you turn off the wrong thing, your computer may not function correctly. Choosing between the predetermined settings should be adequate for most users. 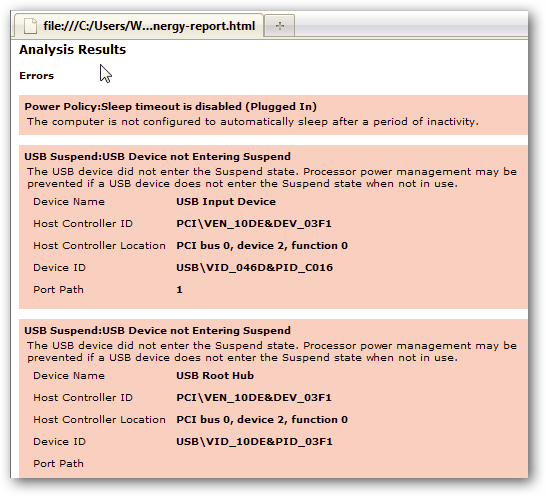 If you are having issues where your laptop is draining too much battery power, or you want to check the overall efficiency of power usage on your computer, check out our article Use PowerCfg in Windows 7 to Evaluate Power Efficiency. 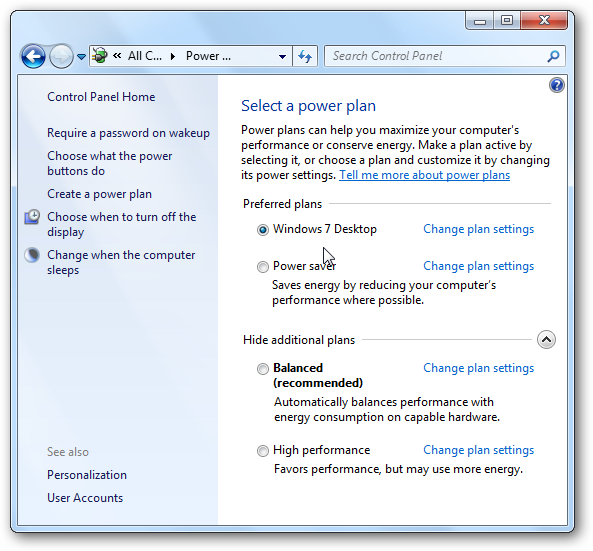 Windows 7 makes it easy to manage power settings for different computing situations. If you find your computer mysteriously shutting down or going into sleep mode, this should also help you determine why it is happening.